The Awards for 2017 were announced at the annual Gala Dinner on 5 August 2017. Four outstanding alumni were recognised on the evening. Denise satisfies a number of the Award criteria. In 2002 she gained a Masters in Art Administration from COFA UNSW, and in 2016 she was awarded a PhD from ANU for her thesis on Indigenous print making in Northeast Arnhem Land, providing a unique contribution to the knowledge of the history and development of the use of this art form by Indigenous artists in Australia. 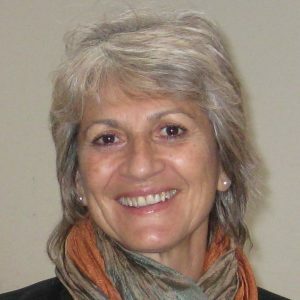 Perhaps Denise’s greatest contribution has been in Indigenous healthcare, as a dentist who worked for a considerable number of years (1998-2010) providing dental care to remote Indigenous communities in the Northern Territory. Part of this work involved the establishment of mobile dental clinics in the NE Arnhem Land homelands. Denise has worked selflessly and with devotion to her patients with an unwavering commitment to providing the very best dental care, no matter how remote the location or how challenging the circumstances. A significant factor in her success has been her commitment to immersing herself in the culture of those she has served, including learning the language and steeping herself in the history and social structure of those communities. Her deep involvement in the culture of these communities inevitably led her to the work which became her PhD. Denise’s commitment to providing dental care despite challenging circumstances extends beyond Australia. In 1990, she travelled to Eritrea on a voluntary basis to work in the field in conjunction with the Eritrean Relief Organisation and experienced first-hand the disruption and destruction created by the Eritrean War of Independence (1961-91). As recently as 2016, Denise travelled to East Timor with her partner, providing dental care in remote areas of that country. Many of the organisations she has belonged to have eventually claimed her as an office bearer. She served as President of the Northern Territory branch of the Australian Dental Association for a number of years and most recently, in 2015, she became Chair of Artback NT, a not-for-profit organisation which helps NT performers and artists to develop and tour their work to local, national and international audiences. Denise’s unstinting commitment to improving the health care of Indigenous Australians and to ensuring that, despite the challenges, they received the very best dental care, renders her a worthy recipient of the Sancta Alumni Award for Social Welfare and Impact. 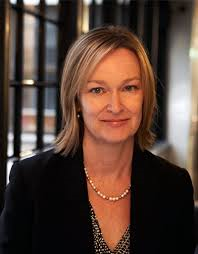 Jacqueline Gleeson graduated from the University of Sydney with a Bachelor of Arts and Bachelor of Laws. She lived at Sancta while undertaking her degree. She was a “very very good” tennis player, and performed the role of Sport Secretary in 1985. Jackie grew up the eldest of four children, within a family that imbued in her a sense of morality, a strong work ethic, and a deep appreciation of wit. These qualities, coupled with outstanding debating and public speaking skills, have earned her a reputation as someone who applies herself to her work with intelligence and perseverance. Admitted as a solicitor in 1989, Jackie went to the Bar in 1991, practicing there for 9 years, before making a significant career change. She left the Bar to work as a solicitor, and to undertake a Master of Laws at her alma mater, Sydney University. She returned to the Bar in 2005, and took silk in 2012. 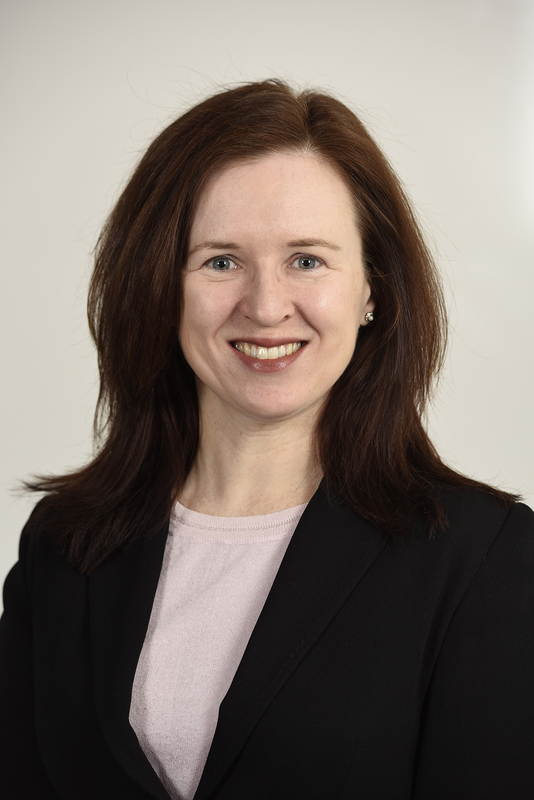 After many years of commitment and service to the law in both the public sector and in private practice, Justice Jacqueline Gleeson was appointed to the Bench of the Federal Court in 2014. Described by her colleagues as “friendly, tolerant, caring and kind”, with an “innate ability to relate to people”, Jackie has been a role model in her field for young women lawyers and within the wider legal profession. As a barrister, she has represented disadvantaged members of the community and those in need of her help and expertise without any expectation of reward. Jacky is most deserving of Sancta’s highest recognition. 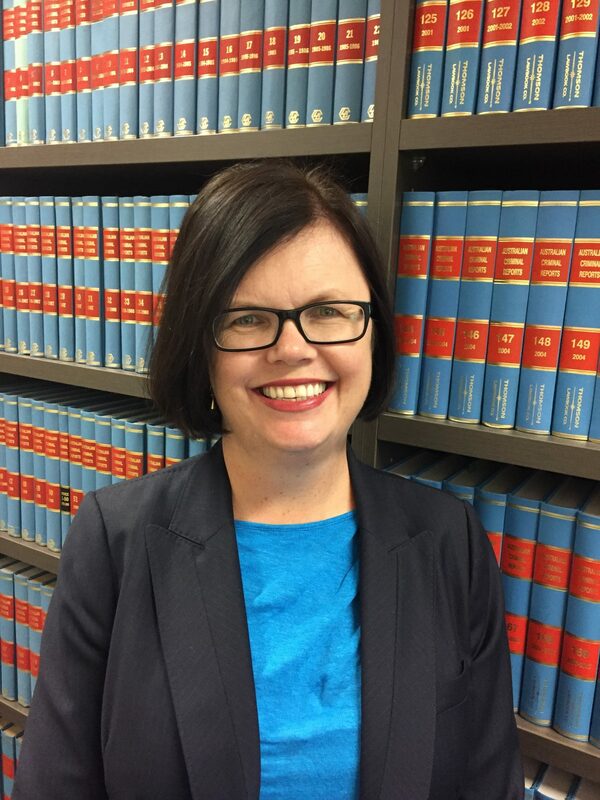 Naomi Malone graduated with a Bachelor of Arts in 1994, a Bachelor of Laws from the University of Sydney in 1997, and a MA in Public History from UTS in 2003, for which she received an Outstanding Student Award. In 2013, with a Research Excellence Scholarship from UTS she embarked on her PhD examining the history of deaf education in NSW since the 1960s. During these studies, she lived as one of the inaugural cohort of postgraduate students at Sancta. Her name can be found on the Sancta Honour boards for excellence in sporting achievement while as an undergraduate. As a profoundly deaf infant, in 1974, at the age of 10 months, Naomi started at the Shepherd Centre learning to speak, lipread and listen. The bedrock of this early learning provided her with the skills to be educated in mainstream primary and high schools. She credits the Shepherd Centre with being instrumental in helping her achieve her dreams. Naomi has used her education as a lawyer, skills as a policy advisor, and life experience to make a positive impact to the lives of countless others with disabilities, becoming an experienced advocate in the field of disability inclusion. In 2009, she was Accessibility Producer on Australia’s first universally accessible theatre production, which was awarded the Deafness Forum of Australia’s Members’ Choice Award for captioning. In 2011/12, Naomi divided her time between Accessible Arts NSW where she managed the Deaf Arts Access Project and Macquarie University Accessibility Services coordinating the MQ Hearing Strategy for Learning and Teaching. Previously, Naomi worked at the Westpac Group facilitating key changes in accessibility and managing its major sponsorship of the NSW Government’s “Don’t Dis My Ability Campaign”. Naomi served as a board member and Deputy Chair of the Australian Federation of Disability Organisations. She is currently on the Inclusion Advisory Panel of both the City of Sydney, and the Inclusion Advisory Committee at the State Library of NSW. Naomi has recently completed her PhD and was selected to speak at a summer school in Italy on her PhD topic. Naomi has certainly lived the Sancta values of “Walking in Wisdom”, and has applied this wisdom where it is most needed; promoting the needs and abilities of people living with disabilities. Natalie Adams holds a Bachelor of Economics and Bachelor of Laws (Honours) from University of Sydney. She lived at Sancta as an undergraduate in 1984 and 1985, during which time she was elected to the House Committee as the Honorary Treasurer. Her mother, Jacqueline Adams (nee Connoley) attended Sancta as did her younger sisters Alison and Carolyn. Natalie grew up in Narrandera. Her family instilled in her the virtues of service to the community, hard work and the vital importance of a good education. These virtues have informed an impressive career, the majority of which has been spent in the public service, and as a statutory appointee. Natalie was admitted as a solicitor in 1989. After a brief stint as a litigation lawyer at the firm then known as Freehill, Hollingdale and Page (now Herbert Smith Freehills), Natalie went on to work as a criminal lawyer at the Office of the Director of Public Prosecutions and the Legal Aid Commission before moving on to the Crown Solicitors Office in 1997. In 1994, whilst she was working at the Office of the DPP, she completed a Master of Laws at the University of New South Wales specialising in criminal law. Following extensive experience as a criminal lawyer, Natalie was called to the Bar in 2001. After practising at the private Bar for a year, she was appointed a Crown Prosecutor in 2002. She held that position until late 2011. In 2011, Natalie was appointed the NSW Crown Advocate. She took silk the following year. Court of Criminal Appeal in numerous appeals. In 2016, Natalie was appointed to the Bench of the Supreme Court of NSW. Natalie’s passion for the law is demonstrated by her many extracurricular activities whilst she was in practice. She was the patron of the University of Wollongong’s Master of Prosecution course, and a guest lecturer at that University and at UTS. Aside from lecturing and presenting, she is also extremely committed to mentoring, both within the legal profession and the wider community. She was involved in both the University of Sydney and the University of Wollongong female law student mentoring programs. Informally, Natalie has mentored successive cohorts of young female barristers and solicitors, many of whom have chosen to remain in the law because of her encouragement. Natalie is known amongst her colleagues for her empathic, kind and caring nature, as well as for her expertise and deep understanding of the law. She is richly deserving of the Sancta Alumni Award for Professional Achievement.